​Being a dedicated XP gamer hardly has any stipulations that go along with it; we just want a great game and a great place to park ourselves while we're playing it. Gaming chair design and technology has come a long way over the years and we seem to be bombarded with more and more choices as time goes on. This right here is yet another choice. With the way it’s priced, though, it seems as though it’d make a good gaming chair for those who are shopping on a smaller budget. This is an especially great chair to gift a small child, as it is in no way suitable for adults of any size. This chair doesn’t just look good, but it also provides an impressive amount of functionality, based on what you’re paying for it. It folds up for extra portability to its already small stature and even comes with an audio bridge so the little ones wouldn’t need to sit terribly close to the TV if they need to plug in their earphones. But if you are looking for an XP gamers chair that's affordable, one that isn't a bear to lug around from room to room and provides a good amount of comfort, you'll definitely want to check out the Cohesion XP 2.1 Gaming Chair with Audio. It's got a great look and a pretty sound audio system (pun intended!) and is ideal as an XP Series gaming chair. Do remember that there are quite a few drawbacks to this chair, though. It is strictly designed for kids and is not built out of materials that are designed to withstand a beating. The internals and the hinge will not hold up to rough usage by any means. There have been quite a few reports of the seams and the beading tearing after a few years of use. There have also been people who’ve had to deal with the padding on the chair bottoming out because they were simply too large for it. If you’re an adult, you can get away with maybe a year and some change of usage, but it isn’t going to hold together for long. ​What Needs to be Worked on Cohesion XP Series Gaming Chair? Many of these XP gamers chairs have similar features, but you can always find a few that will set one model apart from the others. This chair, in particular, has an interesting audio system that consists of a pair of speakers that are positioned right beside your head and an audio control panel that sports a 2.1 audio connection for a pair of headphones. This chair is also built to cater to a much lower budget range, so while it may look similar to another from its range, it simply isn’t made to be subjected to much stress or rough usage. When it comes to the Cohesion XP 2.1 Gaming Chair with Audio, what sticks out at us the most is its affordability. With this model coming in at 50% to almost 75% less than other chairs in its category, it's a no-brainer for it not to make your short list. Secondly, it's comfortable. I know, it's a gaming chair, that's the point, but we've all found ourselves at one time in another in a chair that just wasn't relaxing. You won't have that problem with the Cohesion XP 2.1. 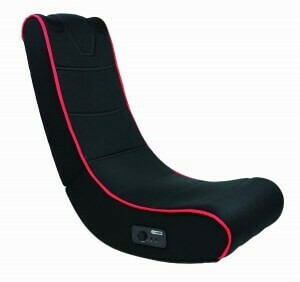 It's an ergonomically designed rocker that continues to provide comfort even in the most marathon of gaming sessions. Audio is always a great feature in an XP gamers chair. The personalized sound system has a ton of benefits because of its headphone-like effect - you get great sound and no one else around you does. It makes late night gaming when you have to keep the noise down, more enjoyable, it provides a clear sound which is helpful in games that rely on audio cues to succeed and it just plain convenient. With controls located in arms reach, adjusting your sound environment is just easy with this product. ​Did we mention it's comfortable? : Yes? Well, we'll say it again because it's worth saying again. Comfort is key and this chair provides enough of it to enhance your game time. It's arced shape molds to the body and the rocker feature makes it feel less of a chair and more like a plush chaise lounge. The shape of the Cohesion not only provides comfort but also some pretty sleek styling. Does the look of your gaming chair really matter that much? Yes. The answer is yes. No one wants an ugly chair sitting in their gaming space. It ruins the vibe and it's downright embarrassing. Portability is a big pro with this gaming chair model. It's engineered to fold up for compact storage and it is built with lightweight materials. For those of us whose biggest muscle is in our thumbs, this lightweight build is a godsend. Move it easily, store it easily. To be honest, the XP gamers chair cleans up well. The material that covers the sitting surface is a durable blend does a good job in avoiding stains and can be cleaned fairly easy with any household product. It's affordable. What we really like about the price that for a cost from $50 to $80 on most online marketplaces, you don't have to sacrifice a whole lot of comfort or features with this chair. If you don't want your seat to eat too far into your software budget then you'll definitely want to look into the Cohesion XP 2.1. What Needs Improvement in Cohesion XP Series Chair? We noted above that the XP Series Gaming Chair had audio and we actually do like this feature. We find it very useful, especially if you lived in a shared residence and need to keep your volume in check. However, we do feel that the audio features on this chair are an opportunity for it to improve. It's wired setup can be a pain at times and the sound quality - particularly the lack of bass - leaves a little to be desired. If you land on the taller end of the height spectrum, you may have a little trouble fitting into this chair's compact design. That coupled with the fact that it's a floor rocker - getting in and out can sometimes be more than a challenge than it should be. When it comes down to brass tacks, what separates the Cohesion from its competitors is its price. We just can't overlook how much less this chair costs than others in its class. From what we gather, it's well constructed, if a little small, so we're not seeing a quality issue. It's just one of those products that are affordable and reliable. At the end of the day, we have to recommend that this XP gamers chair is included on your list to consider to improve your gaming experience for XP gamers. It's low cost, decent construction, and sleek style make it a viable option for most casual and more die-hard player. We recommend this product from Amazon.com. Could you make tier list with PC gaming chairs? 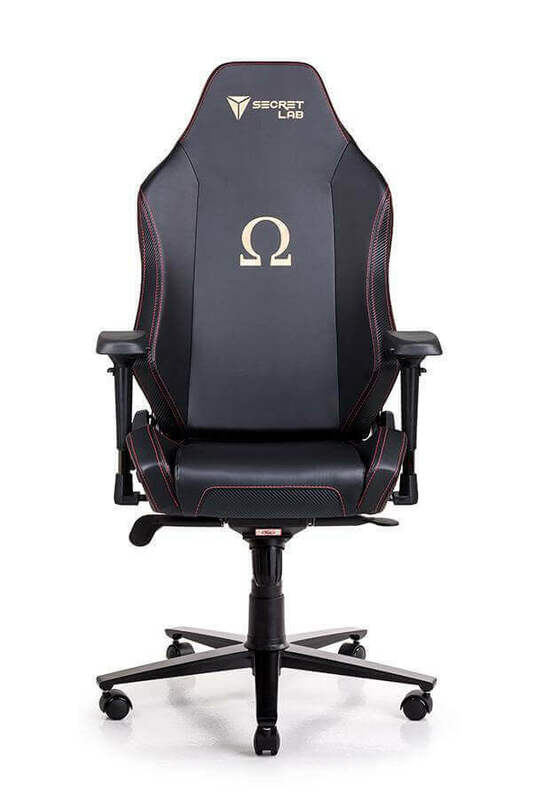 With chairs like DXRacer, Quersus, Arozzi, DXSeat included?